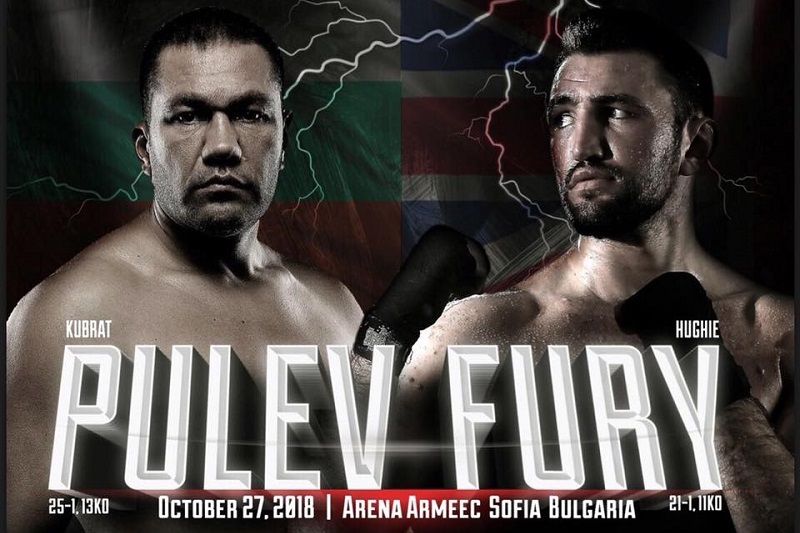 IBF number five heavyweight contender Hughie Fury 21-1 (11) is due to arrive in Sofia, Bulgaria on Saturday ahead of his 12-round elimination bout against Kubrat ‘The Cobra’ Pulev 25-1 (13) at the Arena Armeec in Pulev’s hometown of Sofia on October 27. The winner of the bout will be in line to face unified champion Anthony Joshua 22-0 (21). Fury, the current British heavyweight champion, says he has been training twice a day, six days a week for up to three hours per session at the Manchester Gym with his father and trainer Peter Fury. The 37-year-old Pulev is no easy mark. The former two-time European champion’s only career loss was to undisputed heavyweight champion Wladimir Klitschko in 2014. Britain’s Dillian Whyte and Americans Jarrell Miller and Dominic Breazeale all declined to face Pulev before Fury accepted.